Newest Mule offers expanded off-road capabilities After more than 20 years of service, the Mule name has come to define a whole category of hardworking utility vehicles. 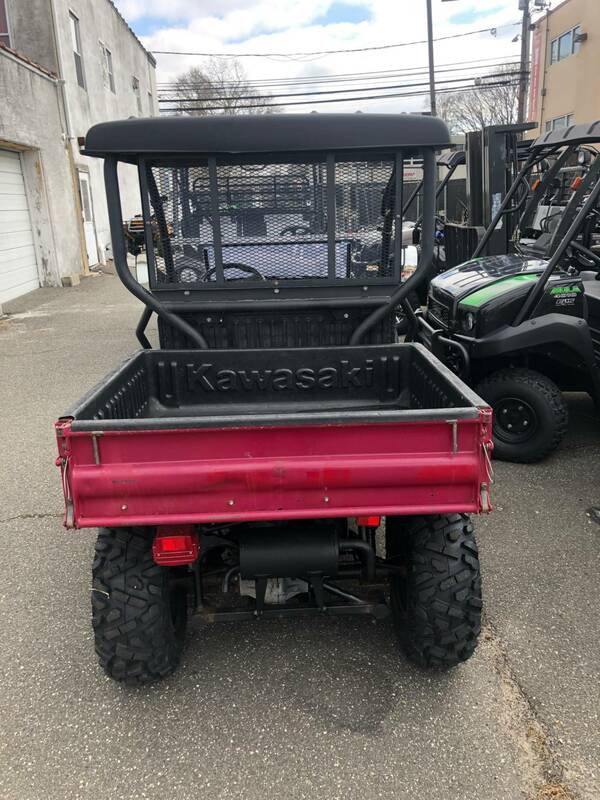 For 2010, here’s an entirely new take on everyone’s favorite beast of burden: The Kawasaki Mule™ 610 4 x 4 XC appears to have been crossbred with Kawasaki’s Teryx™ RUV. 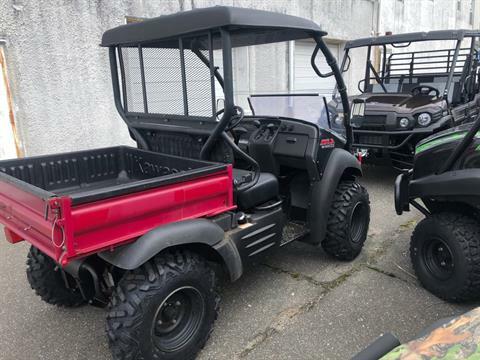 Aggressive 26 inch Maxxis Bighorn 2.0 radial tires mounted on 12-inch wheels give it newfound off-road ability — and a slew of upgrades designed to complement its suddenly more aggressive nature, infuse the new Mule XC with something it’s never really been known for: This Mule is cool. 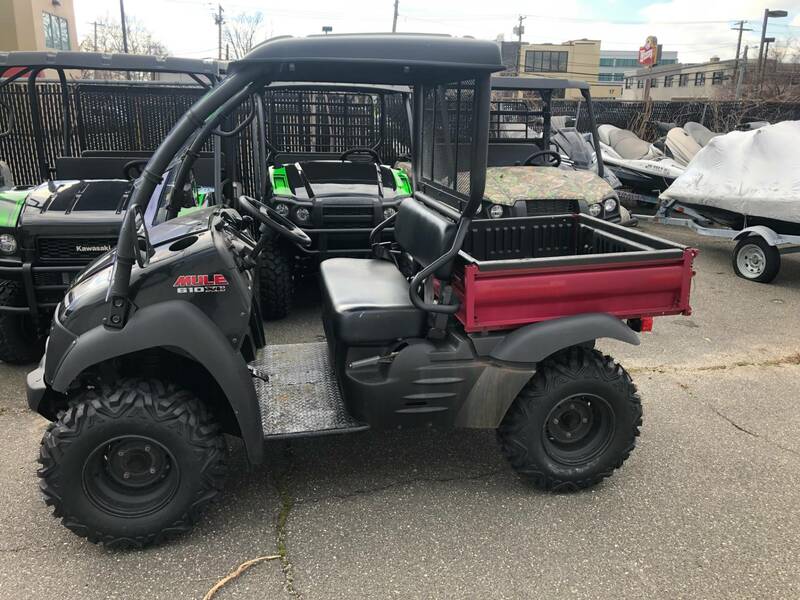 New, extra large 26-inch Maxxis Bighorn 2.0 radial tires mounted on 12-inch wheels give this Mule utility vehicle newfound off-road skills. A new seat, covered in new material for more all-weather comfort, provides a better, more secure perch for the driver and passenger. 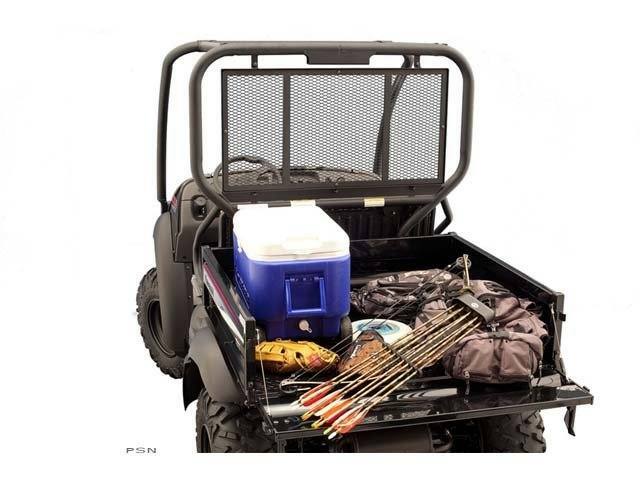 Teryx-style tailgate has a simplified release for easy opening and closing. Along with bigger tires comes a 1.3 inch wider track. But this Mule still fits in a full-size pickup truck. Larger tires also result in 1.5 inches more ground clearance — now 8.1 inches — for improved rough terrain capabilities. 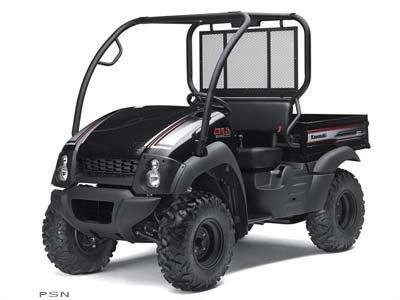 A sport steering wheel, lifted from the Teryx RUV, enhances control and appearance. A repositioned front bumper and exclusive sporty graphics give the XC a bold new look to match its new mission. 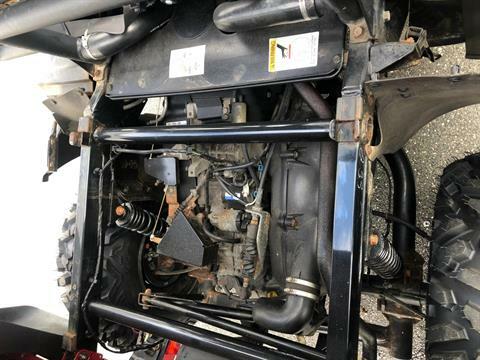 Standard skid plates for the front differential, engine and rear diff add protection and greatly reduce the chances of getting hung up on obstacles. A revised brake pedal ratio, stronger master-cylinder mount and new brake shoes provide increased braking performance. Longer front and rear suspension arms provide greater off-road performance. Stain and scratch-resistant special Black texture paint in the cargo bed enhances the whole vehicle’s looks and durability. Cup holders located at each side of the front hood by the dash keep hydration close at hand. The front hood opens up to reveal 12.6 gallons of sealed storage space. A passenger side glove box is perfect for small item storage. Powerful and stylish 35W headlights let the work day continue after dark. A standard-equipment hour meter makes maintenance intervals easy to track. Fuel gauge and an oil temperature warning light keep track of essential fluids. A differential locking lever and convenient parking brake are simple to find and operate. An automotive style dash features easy-reach controls. Gear selector for High, Low, Neutral, and Reverse couldn’t be simpler really. Compact, lightweight, and easy to transport to the job, the Mule fits in the bed of a full-sized pickup. Durable plastic body panels resist dents, and the Mule 610 4 x 4 XC’s Super Black finish is molded in for long lasting good looks. Unlocked mode decreases turning radius and minimizes ground disturbance - great for use on grass. Locked mode provides maximum traction in difficult conditions. The choke opens the throttle during starting, so the accelerator pedal does not need to be depressed. Stepping on the brake pedal allows the engine to be started in gear. Carburetor settings reduce exhaust emissions, a good thing for the environment. A USFS-approved spark arrestor in the muffler greatly reduces fire hazard. California models have a check valve on the fuel tank-to charcoal canister connector hose to prevent gasoline from entering the canister when operating on inclines or over rough terrain. Positive crankcase ventilation system recycles blow-by gasses to the intake tract, where they’re burned in the engine. Fan cooling helps the engine maintain an ideal operating temperature. Raising the exhaust system keeps it high, dry and out of harm’s way. 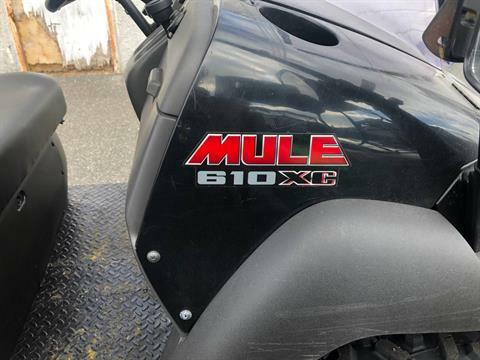 The Mule’s simple, lightweight 401 cubic centimeter, four-stroke single is compact, lightweight and extremely durable. An oil temperature warning lamp linked to a crankcase sensor helps prevent overheating. 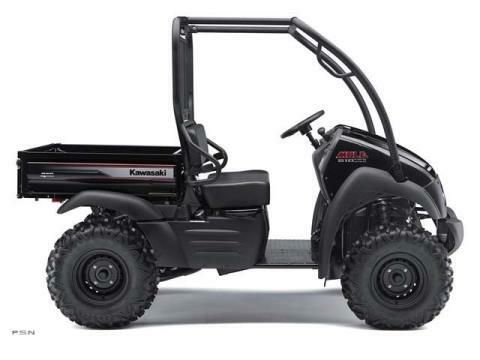 Overhead valve design provides maximum efficiency, and the Mule’s highly evolved carburetor helps provide excellent fuel economy. Cab frame air intake draws clean, uncontaminated air for the engine from the top of the cab. A rotating balance weight moves opposite to the piston, dramatically reducing vibration and minimizing noise and wear for increased comfort and reduced fatigue. Belt deflection can easily be adjusted by changing shim thickness of the adjuster bolt located on the outside of the driven converter. A maintenance-free sealed bearing unit is used between the front and rear driveshafts. The belt converter case is sealed to keep out contaminants. The belt converter’s air cleaner cover uses a clip-type clamp for easier maintenance, and a revised sealing method provides an improved seal. An open-sided drive pulley cools better for longer belt life. A long-wearing ATV-style double cog CVT belt provides long wear and minimal maintenance. A die-cast aluminum belt converter has high silicon content for compactness and light weight, and offers excellent toughness and durability. 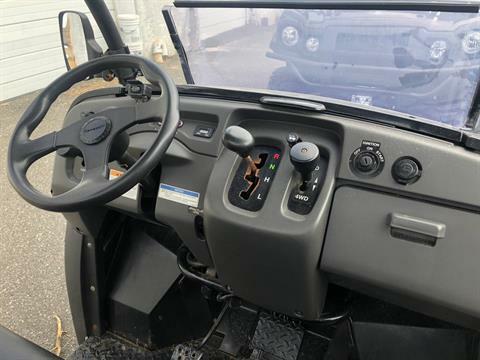 Fully automatic transmission features selectable 2 or 4-wheel drive. Long-travel front suspension serves up a comfortable ride, excellent load-carrying capability and excellent terrainability. Simple, rugged single A-arm design provides a tight turning radius for extra maneuverability. 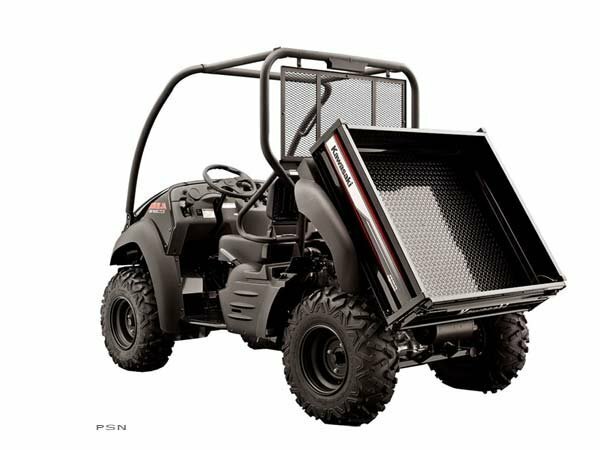 Ackerman rack-and-pinion steering provides precise, accurate handling and a small turning radius that facilitates working in tight quarters. Rack and pinion system is durable, simple, easy to maintain and helps reduce tire wear. Fully meets SAE Roll Over Protective Structure (ROPS) requirements for wheeled tractors under SAE J1194, 7.1.1, 7.1.2, 7.4, and 7.5, and FMVSS 216. 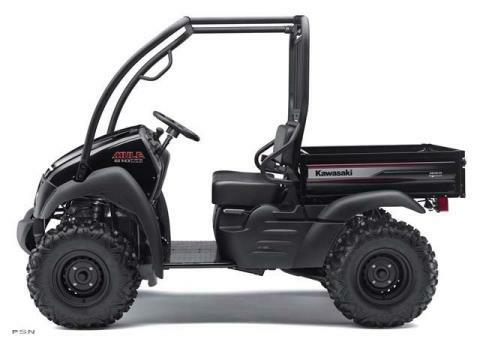 Speed limited to 25 mph keeps the Mule well within its performance envelope. Two seat belts enhance safety. 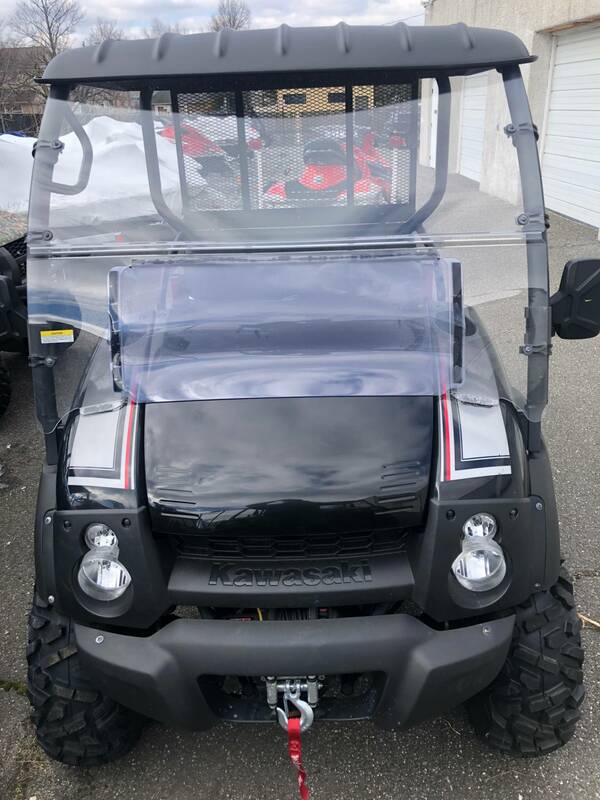 A crankcase oil level dipstick and dual-element air cleaner make maintaining the Mule quick and convenient. A Teryx-style tailgate with simplified release mechanisms makes loading and unloading easy. Mule 610 4 x 4 XC’s long-travel rear end can handle heavy loads, yet provides a comfortable ride with an empty cargo bed. Unique design places engine and rear wheels on a sub-frame with a mid-point pivot which isolates vibration for a smooth ride.